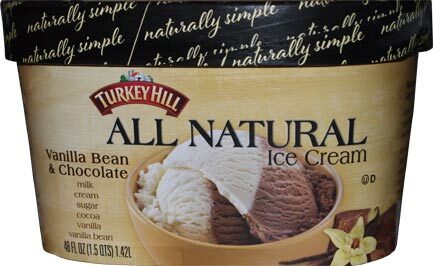 I don't know what it is right now, but I can't get enough of Turkey Hill's all natural ice cream. I know some of you prefer creamier alternatives, but for me, the coldness and the clarity is just really clicking and I get frustrated when the container runs out. I've gone through... iunno, at least a half dozen containers in the last two months. That may not sound like a ton, but if you factor in all the other things that get reviewed for the blog, then you might go "wait, how does he fit that into his schedule?" More than anything, I've been getting the vanilla / chocolate combo container. I do like their chocolate chip versions, but some nights I really just want something simple. I don't want to spend the whole time crunching. I just want to let the simple ingredients melt on my tastebuds and cool me off from all the stupid humidity we've had this summer (little rain mind you, just humidity day after day after day it seems). "Dubba, this is so boring!" ...or is it? Slow down and think about it a little. Depending on where I aim my spoon, I can get a different flavor in every bite. And not some muted, boring, flavor swirled bite like we find in some pint containers. No, I can distinctly choose a very chocolate bite or a very vanilla bite, or choose something in between. I have that option, it's up to me, not the producer. I like that. I like the simplicity. I like that control. It's why I fell in love with ice cream so many decades ago. Ice cream is awesome and that's all there is to it. This whole line is the bees knees. Likely one of the best vanilla's around. It's also hard to find ice cream without fillers, even among the premium brands (I'm looking at you B&J) I just took a look at their site and it appears as if they've stopped making the cherry vanilla, which is really a shame. Dubba I'm right there with you on this one! Turkey Hill has always been my favorite brand, and the All Natural line, specifically the Salted Caramel flavor, is my favorite. Unlike Nick, I'm not a huge mix in fan. I feel like companies hide their crappy bases behind it. I've yet to get this flavor though, so I'm definitely gonna give it a try! Roddy? RODDY!!! You Live!!! :) I'm hoping for more all natural flavors next year. I mean, think about it, there are no fruit flavors this year, we didnt even get a limited edition one. I like them, but there are definitely moments I don't need them. 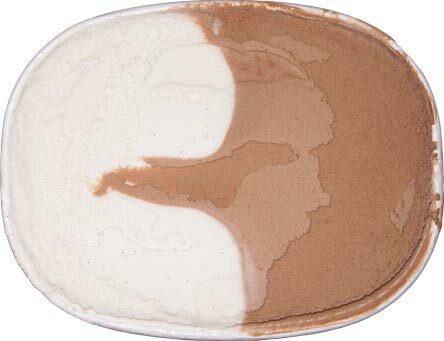 That said, I'd like to see them toy with a mix-in or two on the all natural line, if they do cookies & cream, then they could get creative and put it in any of the bases. If not, how about a cookie dough version? lol thanks, Dubba :) made my evening.